The state has deep populist roots and an unusual legislative system that gives power to individual lawmakers at the expense of political parties. LINCOLN, Neb. — What’s up with Nebraska? The state is among the nation’s most conservative, with Republicans controlling all of state government. But by the time the legislative session ended last week, lawmakers had repealed the death penalty, legalized driver’s licenses for certain immigrants brought to the country illegally as children, raised the state fuel tax and come close to approving a medical-marijuana bill. The liberal-leaning list of accomplishments has left some shaking their heads. But others say it’s not unprecedented in a state with a strong populist streak and an unusual legislative system that gives power to individual lawmakers at the expense of political parties. The Legislature — which has only one house — is comprised of 35 Republicans, 13 Democrats and one independent, but, unlike other states, the party in the majority doesn’t control the session. The speaker sets the agenda and designates certain bills as priorities but doesn’t decide whether a bill makes it to the floor, and parties can’t exert discipline over how senators vote. The setup forces lawmakers to build coalitions based on shared beliefs, regional interests or agreements to support one another’s bills. Further, senators say the Legislature’s size separates it from conservative powerhouses like Texas. With 49 members, Nebraska’s Legislature is the nation’s smallest. Senators form friendships that transcend party lines, in an atmosphere that one lawmaker likens to a coffee shop. Speaker of the Legislature Galen Hadley pointed to the death-penalty vote: After a divisive and emotional debate on the floor, senators on both sides of the issue went out for a beer. Many lawmakers put a high priority on protecting the rare one-house structure, which was approved during the Great Depression when voters sought a system that would be more efficient. The session frustrated many reliably conservative lawmakers, who failed to pass large tax-cut packages, gun-friendly laws and new restrictions on abortions — the kind of measures that pass easily in other Republican-dominated legislatures. Especially vexed was the state’s new governor, Pete Ricketts, who came into office with a promise to work closely with lawmakers but then complained loudly as his fellow Republicans overrode his veto of the death-penalty, fuel-tax-increase and immigrant-license bills. 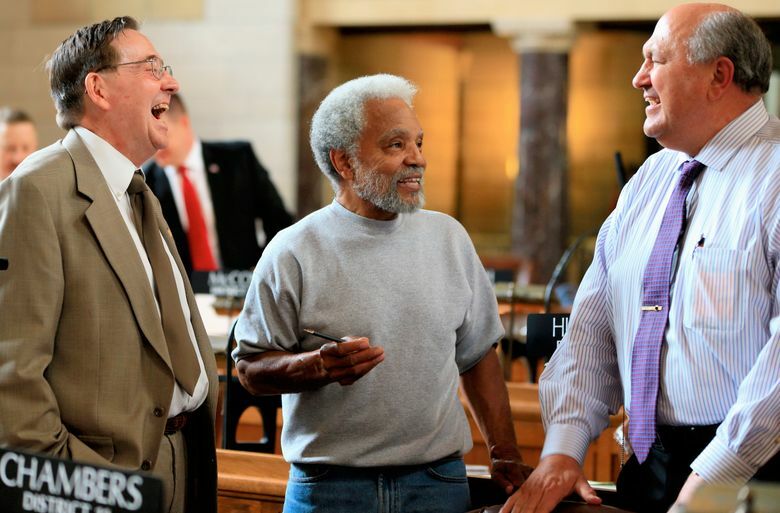 He said last week that lawmakers had fallen out of touch with most Nebraskans. Conservatives did score several victories this year, including additional money for property-tax relief and a budget with lower-than-average annual spending growth. The Legislature rejected a third attempt to expand Medicaid coverage and defeated an effort to eliminate parts of the state’s “three strikes” law for repeat offenders. Some lawmakers also dispute the idea that the death-penalty repeal or other measures were necessarily liberal-backed issues. Some Republicans complained the death penalty was a waste of tax money because of the high legal costs, and argued the state hadn’t executed anyone since 1997. Others noted that the move to allow driver’s licenses for youths brought to the country illegally was endorsed by typically conservative agriculture and business groups. Nebraska was the last state to allow the licenses. “Some of this is just common sense,” said Sen. Paul Schumacher, a Republican.